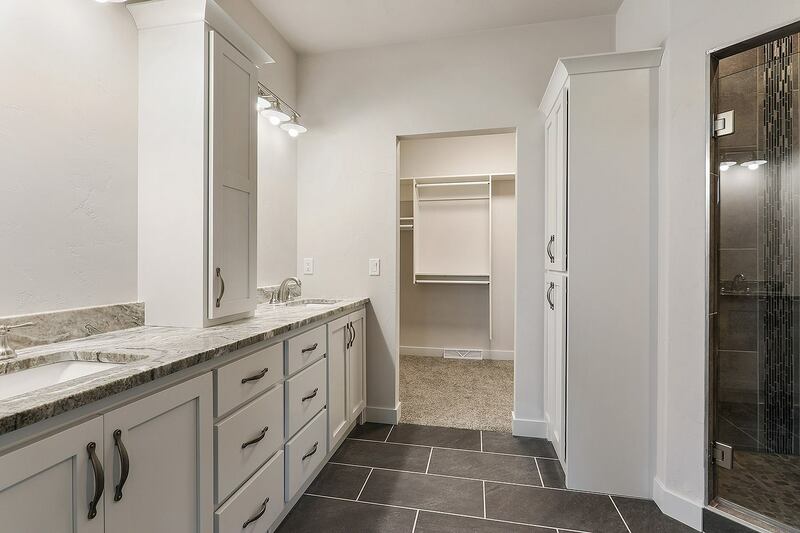 Meet with our CABINETWORKS LLC. designer Jessie to start your project with our semi-custom, high quality, industry leading cabinets from Wellborn Cabinets INC. of Alabama. 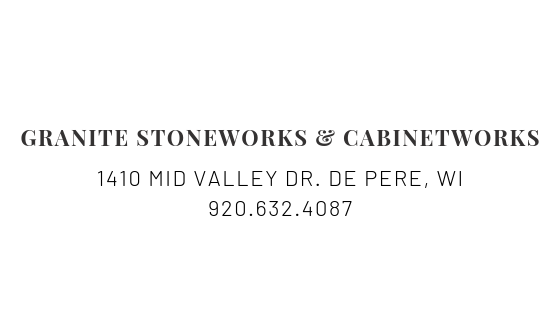 Once your cabinet layout and finishes have been selected, you will meet with one of our three counter top sales representatives: Stephanie, Kylie or Christine to discuss your vision and style for your project. 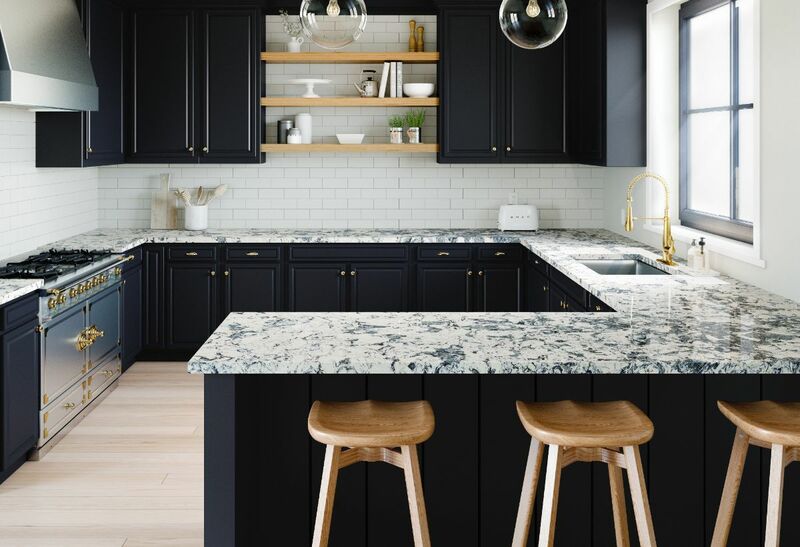 Choose your counter tops from a large selection of over 500 full slabs on our lot, or from the Quartz brands we carry. These include industry leaders MSI Q-Quartz, Cambria, Silestone by Cosentino and Caesarstone. Getting exact measurements for your kitchen is easy with our laser template system. You can keep your counter-tops in place until the day of installation. A short time after your template, we come back for your installation date! Before we install your new counter-tops we can tear out and dispose of the old tops. We know you are busy, let us handle the whole project! Twice a year the Brown County Home Builders Association hosts a parade of homes featuring the areas builders! 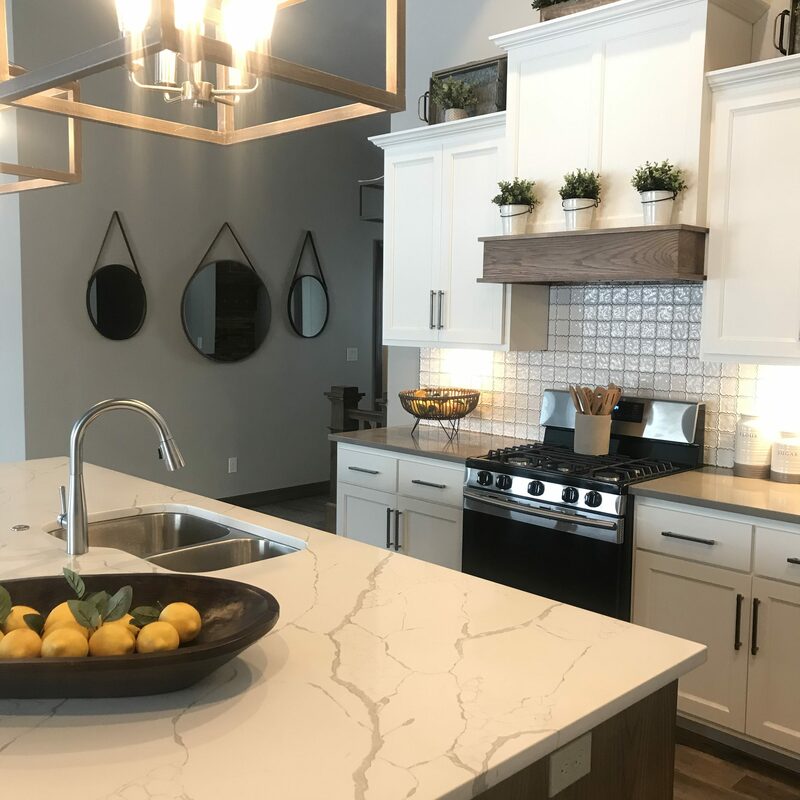 This year we were featured in over 6 of the homes in the 2019 Spring Showcase of Homes. 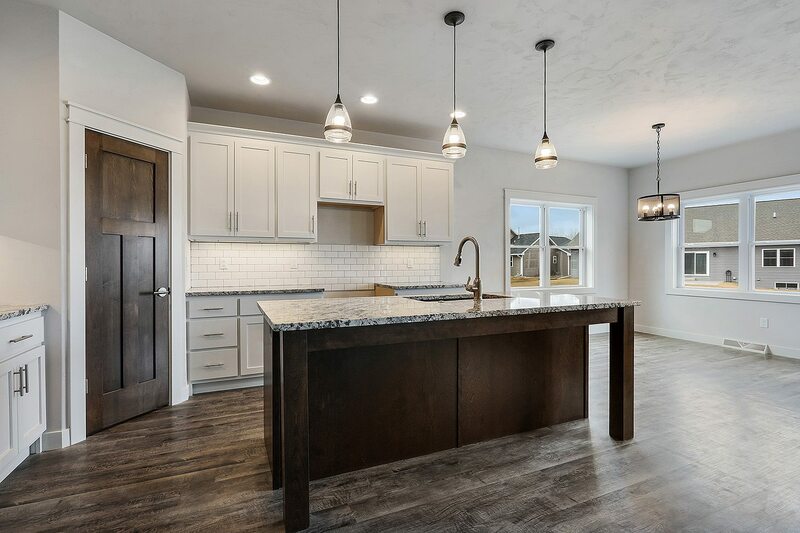 Check out our featured home by Smart Custom Homes. 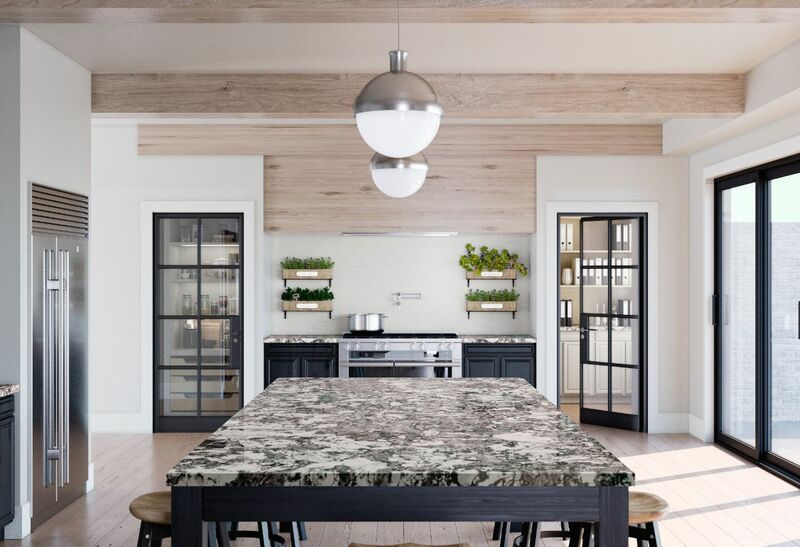 Calacatta Laza was selected for the island, and Fossil Grey Quartz was selected for the perimeter in the kitchen and the laundry room. 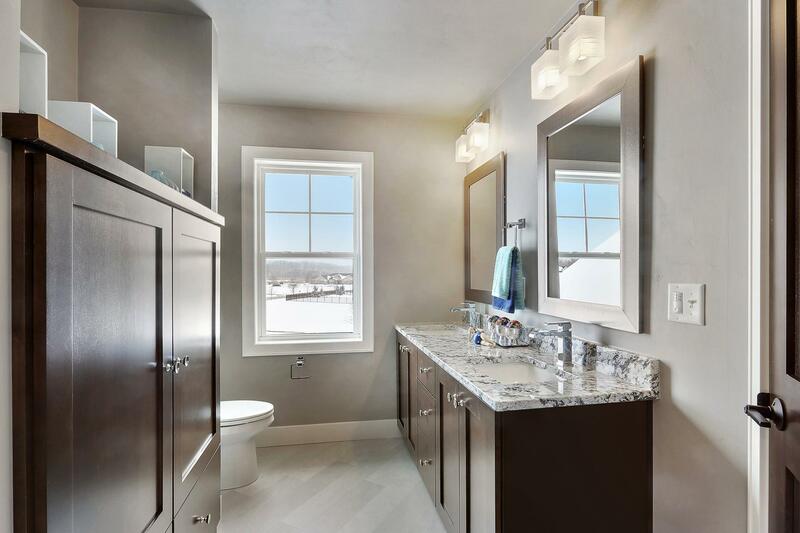 Calacatta Classique Quartz was used on the tops for the master bathroom, and Stellar Grey was used in the main bathroom. (see more pictures on our gallery page).